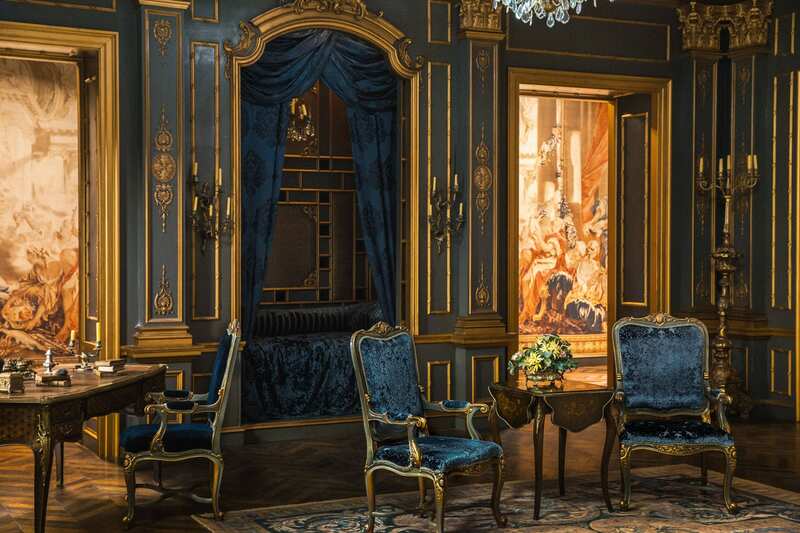 This is the Jamie and Claire Paris Apartment built on stage in Glasgow Scotland. These Paris sets couldn’t have been done with out the help of Supervising Art Director Nicki McCallum, Set Decorator Gina Cromwell, Assistant Set Dec. Stuart Byrce, Construction Cordinator Danny Sumsion, Scenic Artist Bettina Scheibe, Plasterman Alex King. They all did such an amazing job and each are Artist in their own right! I thank them all for their amazing work! !